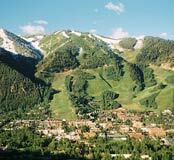 Aspen’s ski season typically runs from Thanksgiving to mid-April. March has both the most sunshine and the best ski conditions. Late April and May are off-season, although it can be beautiful. June, July and August are ideal, bringing clear days and cool nights, as well as a cultural explosion. There are fewer people in September and October but typically the weather is gorgeous. 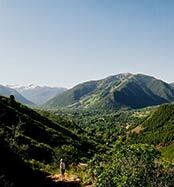 Aspen’s winters are drier and sunnier than most other ski resorts. The cold is not a “wet cold,” so winter days are generally still pleasant. Snowstorms can be intense but generally last only a day or two. Spring and fall are cool and sometimes rainy. 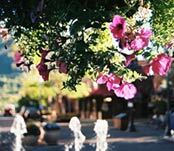 Summer brings mild temperatures, little humidity, cool mountain breezes, and crisp nights.